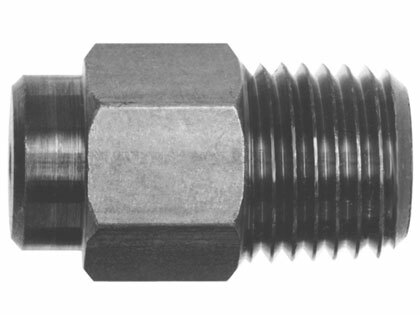 NLBs SA nozzles are custom-sized to suit your application and feature a sapphire orifice design that provides exceptional life, while still supplying a cohesive jet over a long distance. The tables below will help you identify the one you need and request a quote. Use the first table for pressures from 1,000 psi to 10,000 psi (70 bar to 700 bar), and the second for pressures from 11,000 psi to 20,000 psi (770 bar to 1,400 bar).